(Las Cruces, N.M.) – NMDA is encouraging New Mexico ranchers to submit their spring bull sale flyers and catalogs. This is so the agency may assist with marketing and promotion among cattle producers from Mexico. NMDA recommends ranchers submit materials electronically to marketing specialist Juan Sanchez at jsanchez@nmda.nmsu.edu. This effort is a continuance of an inbound mission that took place during the annual Joint Stockmen’s Convention last month. 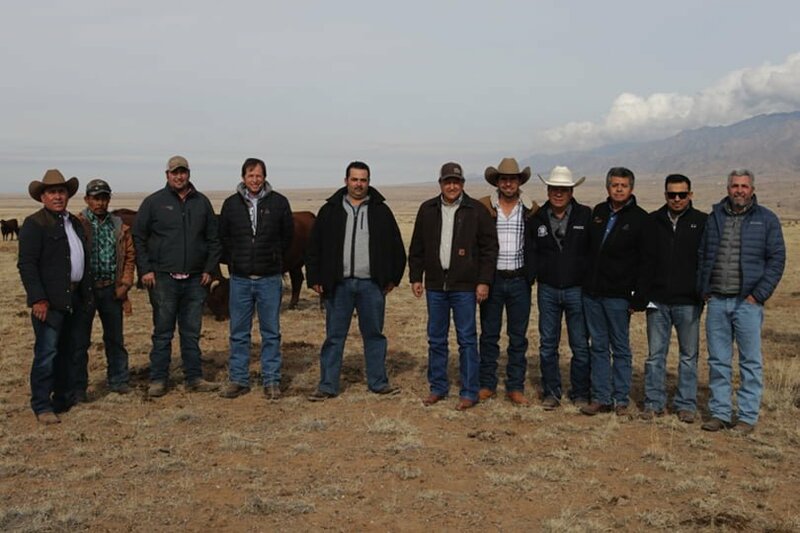 Cattle buyers from Mexico were invited to meet with New Mexican ranchers in Albuquerque in December. NMDA has facilitated this meeting for three consecutive years during the convention hosted by the New Mexico Cattle Growers Association. Eight cattle buyers from Mexico traveled to the meeting. They were interested in Angus, Brangus, Charolais, Santa Gertrudis and Beefmaster breeds. The group visited several ranches throughout the state, and over 25 bulls were purchased. “Part of the New Mexico Department of Agriculture’s mission is to promote global marketing and economic development…”. said New Mexico Secretary of Agriculture Jeff Witte. Ranchers interested in submitting materials should contact Sanchez at 575-646-4929 or jsanchez@nmda.nmsu.edu. To learn more about the NMDA, visit www.nmda.nmsu.edu. Like us on Facebook www.facebook.com/NMDeptAg and follow us on Twitter @NMDeptAg. The Agriculture Day event is bringing family-friendly fun to Las Cruces Saturday, Oct. 28. You’ll find farm animals, games, prizes and samples of local food together at a completely free event. NMSU ACES and NMDA are working with NMSU Athletics and other university partners to coordinate AG Day. It is presented by New Mexico Farm and Livestock Bureau. The fifth annual AG Day street fair happens on the NMSU campus from 2 to 6 p.m.. It’s before the Aggies play their 2017 homecoming game against the Arkansas Red Wolves. In the parking lot near Aggie Memorial Stadium and the Pan American Center, you’ll find dozens of groups. 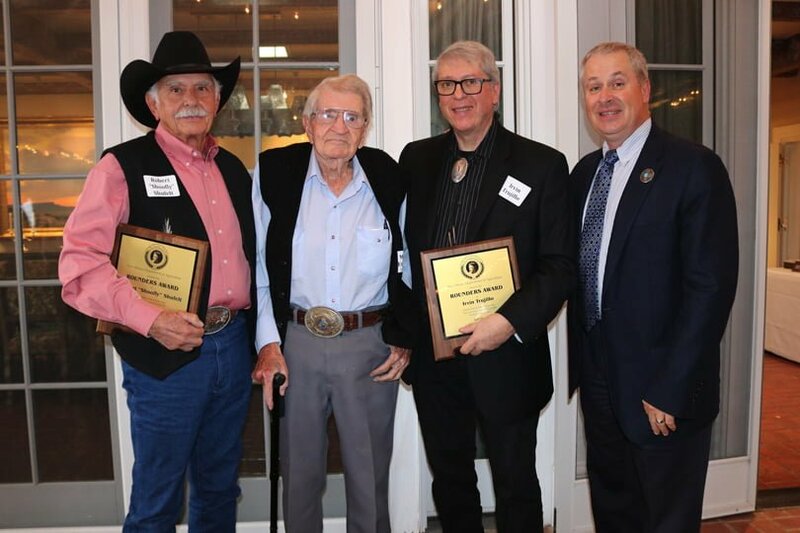 They represent nearly every facet of New Mexico’s diverse agricultural community. “I invite everyone to join us… learn about and enjoy New Mexican agriculture,” said Jeff Witte. “Tailgate with fellow Aggies, and cheer the NMSU football team to victory.” Jeff is the New Mexico Secretary of Agriculture. In addition to the many booths ready to welcome you, kids can get a pony ride. 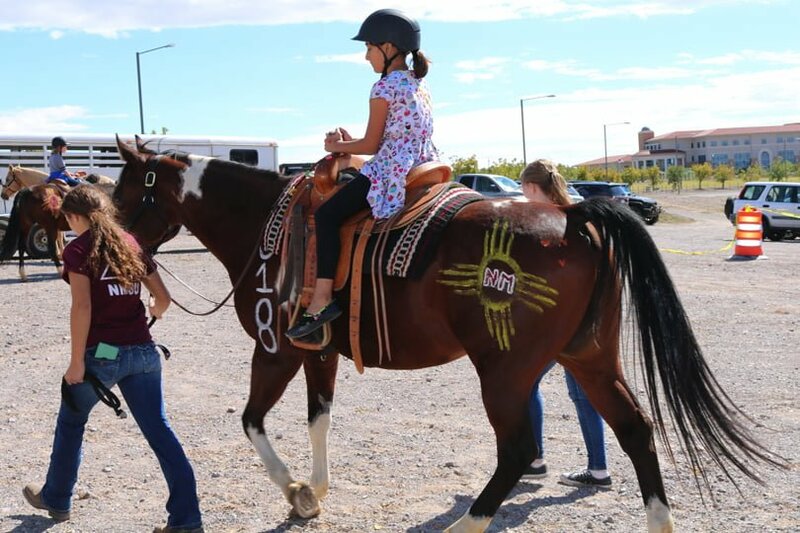 The ride is provided by New Mexico State University’s Horseman’s Association. There will also be other farm animals to see and pet. Trick or Treat with Pete will kick-off at 2:15, for kids to trick-or-treat at each AG Day booth alongside Pistol Pete. Musician Tell Runyan will play from 2:30 to 4:30 p.m. Runyan is a College of ACES alumnus. During the all-ages event, those attending will have plenty to do. They may pick up recipes, watch the water cycle in action, sample New Mexican foods and much more. “AG Day provides a wonderful opportunity to enjoy what makes New Mexico great. We can also celebrate our own hard work,” Witte added. AG Day is presented by New Mexico Farm and Livestock Bureau. They will work along with a group of agricultural organizations and companies across the state who sponsor the game. Tickets to the football game may be purchased for $10 prior to game day when you mention “Ag Day”. Tickets can be purchased in advance online. You can also get them in person at the Pan American Center ticket office, on game day. There number is 575-646-1420. More information about NMSU Aggie football is available here. Livestock owners with animals impacted by recent snowstorms in New Mexico, be aware. Those affected should contact their county office of USDA’s Farm Service Agency (FSA). Contact as soon as possible to make their losses known. FSA may be able to help such producers cover some of their financial losses. If the livestock died in 2015, that is a 2015 loss. The deadline to file an application for payment for this year was initially February 1, 2016. However, the Washington, DC, office of FSA has since extended the date. March 31, 2016, is the new deadline, according to the New Mexico office of FSA. If the livestock died in 2016, this is a 2016 loss, giving the producer until January 30, 2017, to file an application for payment. Affected producers must still call the county office within 30 days of realizing livestock death. Being prepared for disasters is a challenge faced by response agencies every day. Fortunately, major agricultural disasters are rare but, if one happens, the economic impacts could be serious. Governor Susana Martinez has signed a charter joining New Mexico with other states working on food and agriculture security. This partnership allows us to maintain that and even improve upon food safety. It is important for consumers and also for the farmers, ranchers, and others in our food system. Many of these states share similar systems for livestock, dairy production and marketing. Working together across state borders improves readiness and capabilities. That is what this coalition is all about. The Partnership has commissioned over 30 projects. This includes crisis communications workshops, and animal movement agreements between states. It also commissions training and exercises for disaster preparedness, and incident management teams. Such teams assist in command and control of agriculture incidents. The Partnership coalition extends from Michigan to New Mexico, and the Dakotas to Kentucky. Activities are supported by U.S. Department of Homeland Security grants through member states.